We do research and development differently. We dream up advanced solutions to the most vexing problems we can find—then we roll up our sleeves and make those solutions a reality. 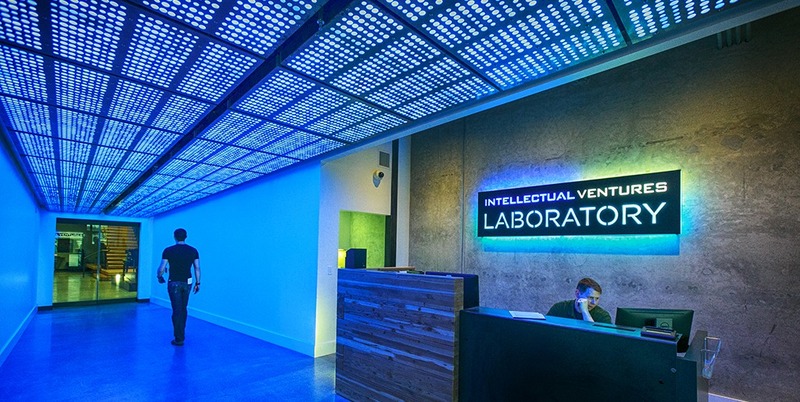 Intellectual Ventures Laboratory (IV Lab) is where our scientists, engineers, and inventors translate scientific research into bold technological solutions for some of the world’s toughest problems. 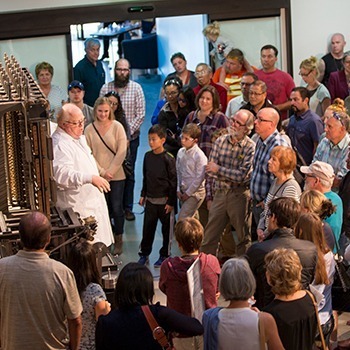 With advanced physics, biotechnology, optics, electronics, mechanical, and micromechanical laboratories all under one very large roof—not to mention the Cooking Lab and an instrument fabrication shop—we fill the crucial gap between basic and applied research where invention flourishes. With the creative freedom to take risks, fail fast, and adapt quickly, cross-functional teams develop early-stage ideas into proofs-of-concept and prototypes, then work with partners to introduce our inventions to the world. What happens inside an 87,000+ square-foot facility that multidisciplinary teams call home? Brilliant minds comingle in specialized workspaces designed to support all phases of invention, from brainstorming and experimentation, to rapid prototyping and rigorous testing. Occasionally contrarian and always problem-centric, we build diagnostics and intelligent devices for use in agriculture and health, and disruptive new metamaterials-based technologies. All too often, local neighborhood healthcare clinics lack basic capabilities, such as systems to track medical records, information on disease outbreaks, well-trained health workers and even consistent electricity and internet connectivity. Limited information and tools also prevent small farmers in the same communities from growing enough food. To fill these gaps, we’re building next-generation AI-enhanced diagnostics and other intelligent devices. Engineers, machine learning experts and software developers support Global Good with expertise in optics, machine learning, respiratory systems, thermal control, and electromechanical systems, while collaborating across disciplines to develop tools that give farmers actionable advice, automate disease diagnosis, and keep vaccines cool, among many other things. Diagnostic tests performed on samples, such as blood or tissue, typically require professionally trained analysis outsourced to distant lab facilities—a service that is inaccessible to many low-income communities around the world. Through our work with Global Good, we’re bringing the wet lab to the neighborhood clinic through a new suite of in-vitro diagnostic devices. 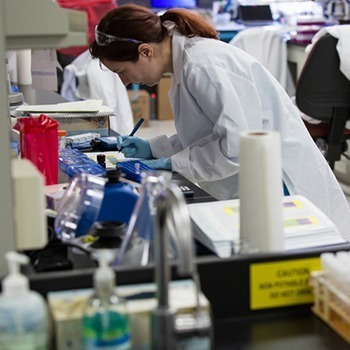 Our bioengineers, chemists, and molecular biologists leverage expertise in lateral-flow diagnostics, bacterial diagnosis, and biotechnology to develop low cost, easy-to-use tests that give patients more accurate results at the point of care. The IV Lab is an inventor’s dream. From idea generation and prototyping to the development of commercial devices, IV Lab is also where our new spinout companies emerge. Our scientists, physicists, and engineers who call IV Lab home collaborate with peers across a variety of disciplines to take invention out of the lab and into the marketplace. Home to several Invention Science Fund (ISF) spinouts and companies currently in incubation, IV Lab also provides valuable equipment, workspace, and inspiration. If you can imagine it, we can build it. Our engineers bring decades of collective electrical engineering and manufacturing experience to this fully equipped shop, enabling rapid in-house prototyping. With a variety of machines and advanced capabilities available around the clock, our expert team can design and fabricate complex customized research instruments and quickly produce new prototypes. Machine learning and malaria experts, mechanical engineers, and a statistician teamed up to build a microscope—the EasyScan GO—that reads a blood slide automatically to determine whether a patient has drug-resistant malaria. Deploying units around the world will help experts track the spread of the mutating parasite. Machine learning and optics experts are also developing an AI system that can recognize early warning signs of cervical cancer in an image better than any human doctor can. Almost 1 in 4 children globally lacks medical records, making them nearly invisible to the medical world. We helped develop a smartphone-based, non-touch biometric platform capable of using infants’ and children’s unique biological characteristics to identify them—ensuring caregivers can track patients’ medical histories from birth through old age. Thermal control experts and mechanical engineers built the world’s only vaccine container capable of preserving the Ebola vaccine at an exact -60 to -80 degrees Celsius, right up until vaccination, without power. It also keeps routine vaccines—such as the pentavalent vaccine—cold in a clinic that lacks power for up to 45 days. Integrating our optics and machine learning expertise, IV Lab is developing a handheld (spectroscopy) scanner that pairs with an AI-enabled smartphone app to analyze soil and give farmers actionable fertilizer advice. Eventually, farmers will be able to retrieve local weather information and personalized recommendations, such as which seeds to plant, how to price their crops, and how to manage pests and diseases. Human papillomavirus (HPV) is the main cause of cervical cancer. Molecular biologists at IV Lab are helping to bring world-class HPV testing to women worldwide through a new point-of-care device. The test compresses a molecular diagnostics laboratory into a simple-to-use, portable, affordable and battery-operated device that can be used anywhere from basic ‘under-the-tree’ settings to clinics and hospitals. Sputum, the sample used to diagnose tuberculosis (TB), is difficult for elderly and other patients to produce and can expose health workers to the disease. Using the same platform as the malaria test, we developed a more sensitive screening test that uses a urine sample instead of sputum and can detect different kinds of TB. Integrating diverse skill sets—in optics, organic and polymer chemistry, chemistry, electrical and optical engineering, material sciences, and biology—we developed a simple screening test. This test, similar to a home pregnancy test, can detect people who transmit malaria but don’t carry enough parasites to show symptoms. A dedicated team has conducted extensive metamaterials research exploring innovative ways to control generation, propagation, and conversion of electromagnetic, acoustic, and other waves. The early-stage research and development enabled ISF to pioneer the commercial market for metamaterials, launching several metamaterials-based companies. IV Lab supported the research and development of TerraPower’s sodium-cooled traveling wave reactor (TWR) since its inception, leading to key advancements in fuel, materials, and engineering. 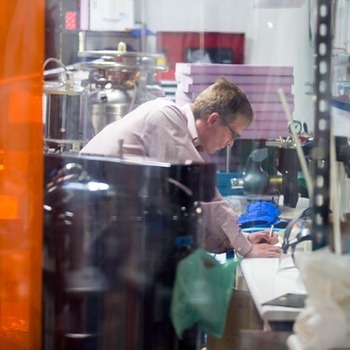 IV Lab’s instrument shop continues to play an important role in TerraPower’s testing efforts and was also the home of ISF’s other energy spinout, Modern Electron, during early-stage development. After two years of technical development inside the lab, the ISF team demonstrated the capability of metamaterials as a disruptive technology in satellite communications and quickly launched Kymeta to commercialize the project. Early-stage development of Kymeta’s Metamaterials Surface Antenna Technology led to other breakthroughs in communications—such as the ability to steer a radio frequency beam with no moving parts—and created new commercialization opportunities. IV research scientist Corrie Ortega shares her background and what her experience at IV has been like in this Seattle Times Q&A.